Fermented Foods – My Sister is All About It! March 6th, I received a late night facebook message from my sister Laura. can we skype or something? ehat about kombucha and kefir? I need to eat more of that actually. Laura, I’m going to sleep now, Can we talk earlier later in the week?? Also have you heard of the gerson protocol? i can’t wait for you to watch it!!! We can cure you and everyone else!!! YOU are the best. I just added to you a group ‘fermenter’s kitchen‘ it’s awesome!! So there you have it, pretty cool sister indeed. I’m excited to hear from others who have tried fermenting of your own foods, and if you feel like the probiotics that are involved and part of the foods have helped your ulcerative colitis. So please drop me a line via a comment below if you have any thoughts, questions, or ideas on this topic. 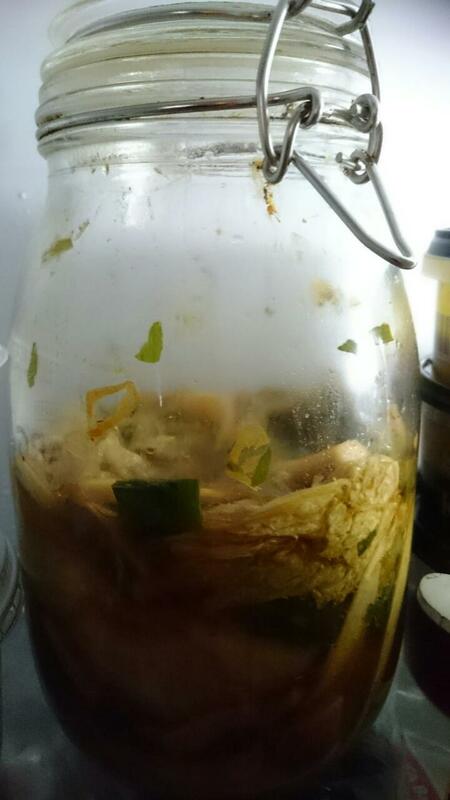 20 Responses to Fermented Foods – My Sister is All About It! Hello, to everyone in this wonderful group. I thank everyone for submitting what has or hasn’t worked for them, it has helped me a lot! When I was diagnosed I got zero information on what to do about it. Other then he told me what I had and said you need to be treated. Ok. Then what?!! So from that day forward I had one episode after another. Just before my hip surgery dec. 7 I had severe swelling in my ankle. My whole foot swelled huge! Doc put me on prednisone. Worked great and also stopped all swelling in my joints and took care of my bleeding with colitis. Whooohooo. Stayed that way the whole time I was home, no stress from work or anything. Went back to work, stress started right back up and boom! Here comes the bleeding again. I’m assuming here that stress is a big factor in my colitis. Does anyone else have this problem or maybe was it just time for it to flare up again? I stay completely away from sugar, I eat no baked goods or bread of any kind. I will add a tsp of raw organic honey in my oatmeal but that’s as far as my sweetness of anything. I eat very healthy. So I’m assuming the stress factor is the problem. It’s not the job either! It’s one other factor. Just wondering if anyone else has problems with stress causing problems with their colitis. Thanks for commenting, and hell the heck yes, I think stress can for sure play a part in people’s symptoms with UC. Thanks for sharing. Watching this right now. Might help jump start my transition into preparing and eating fermented food. The only probiotic I eat is 24 hour SCD yoghurt. First, Adam, I LOVE the relationship between you and your sis. It explains the guy that you are!! Thank you SO much for sharing this and the video!! Hi Adam, Haven’t watched the video yet but wanted to say I have had AMAZING results with raw sauerkraut (especially red cabbage). The one I have been using is REALLY SMELLY but I’ve been told that it means it has more probiotics in it. I have a cup a day of it and my blood has disappeared. I did stop it for a couple of weeks and although the blood did not return I started to feel constipated. I believe it takes a while to heal our gut so plan to be on this food for a couple of years and maybe more. I would recommend any UC sufferer to use this probiotic food state (tablets never did much for me). Lastly, I soak brown flaxseed (linseed) for 24 hours and then drink it. This along with the sauerkraut means I am free of UC. Thank you for posting all this. Way way cool of you to share your story/ideas!!! Love love love hearing stuff like this! Love this post, I too am convinced that fermented foods are very good for you. They are partially digested by the bacteria and the nutrients are more bioavailable for our bodies making them easier to digest and more nutritious. From the research that I have done most people suggest a small serving with every meal. My favorite fermentation guru is Sandoor Katz, you can find him on youtube, he also has some excellent books he has written. In response to Sharon I also find the stress may be one of the bigger contributors to an episode, I’ve done some reading about mindfulness meditation which is scientifically proven to help people deal with pain and stress but I’m not a good practicer of it. One book that has been suggested to me is Full Catastrophe Living by Jon Kabat-Zinn, he also has some youtubes to look at. Thanks for posting about fermented foods Adam, I think it’s important. 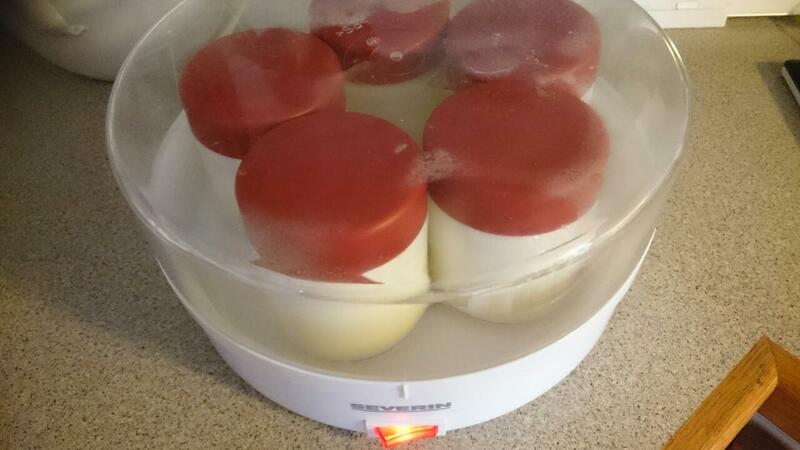 If you’ve never made kefir it’s easy and fun and soooo delicious, many, many people credit it for healing their gut. Ferments have definitely helped my gut. Thanks, Adam, for another amazing post. I showed this video to my 97 year old grandmother. She grew up on a farm and laughed, saying that this was the only way to have vegetables when they were out of season. I make a super easy carrot ginger ferment that is delish, and so yummy that my toddlers ask for seconds! I want to say big thanks to you Adam for sharing. You are an inspiration….I tried fermenting cabbage 9 months ago….but didn’t exactly turn out well. I’ll give it another go. I’ll watch the video to get some fermenting 101 lessons. I’ve been making my own kefir for a year and a half now. Yes, there is so much you can do with it! Mostly, I make smoothies in the morning with fresh ginger, frozen blueberries or any fruits and combos. One time, I got lazy and left it in the fridge for about a month in curdled milk. I figured the grains were dead but I strained it out and reused the grains and they were as good as ever. I use it in place of buttermilk in recipes. Glad to see other uses as mentioned in the “fermenter’s kitchen.” Thanks for the info on that site! I also make a drink with good mineral water, Bragg’s vinegar, fresh ginger, and whatever your imagination comes up with, no need to ferment, just use the blender and enjoy! I have tried back and forth but I think for me lower stress and FMT is the most effective way to get into remission fast.